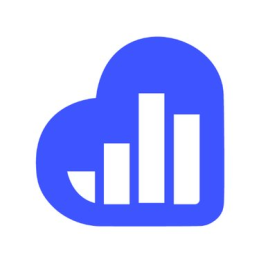 Kissmetrics is a powerful business intelligence (BI) and analytics platform that enables users to segment customers based on their behavior and website activity. It is also useful in measuring conversion metrics combined with real-time insights to help business owners create better marketing strategies and make business decisions. In this article, we cover user reviews. Ready to try Kissmetrics? Request for a demo. Users who gave Kissmetrics a positive review said that the software offers many powerful functionalities, such as A/B Testing and population analysis. Many are also impressed that the platform allows users to combine their data with different search levels, making the tool unique compared to its competitors. One user who gave Kissmetrics a positive review on G2 Crowd said that she likes that the product is simple to use, enabling view-to-view needed data immediately. She also commented that the A/B Testing and population analysis tool are, by far, the most helpful features. Users who gave Kissmetrics a negative review complained that the company’s customer support is hard to reach. Many also are confused because the software’s website keeps on changing their URL. One user who gave Kissmetrics a negative review on G2 Crowd said that their technical support team does not respond to their issues on time. He said that it is difficult for him to get feedback from the company, which leaves many of his problems unsolved for a few days. Kissmetrics pricing is not readily available on their website as they offer customized pricing based on a user’s needs. Paid software from similar providers cost anywhere from $500 to $1,000+/month, depending on the features included. Ready to try out Kissmetrics? Request for a demo. Kissmetrics is typically used by marketers and small to mid-sized business owners. What type of support does Kissmetrics provide their users with? Kissmetrics offers their users with online support, phone support, and a dedicated knowledge base. Not sure if Kissmetrics is the right fit for you? Read our reviews of all top analytics software providers or check out one of these three Kissmetrics competitors.